Nighttime dryness evolves naturally as your child grows, and most children are okay with that. If your Owl seems concerned that she hasn’t mastered nighttime dryness, just explain about how her body is still growing and it will eventually happen. 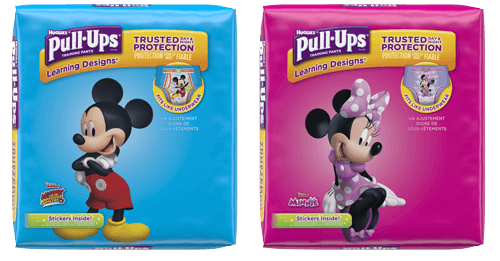 In the meantime, we have our Night*Time Pull-Ups® characters to keep us company. Take your Owl to the potty before bed to get her into the habit.